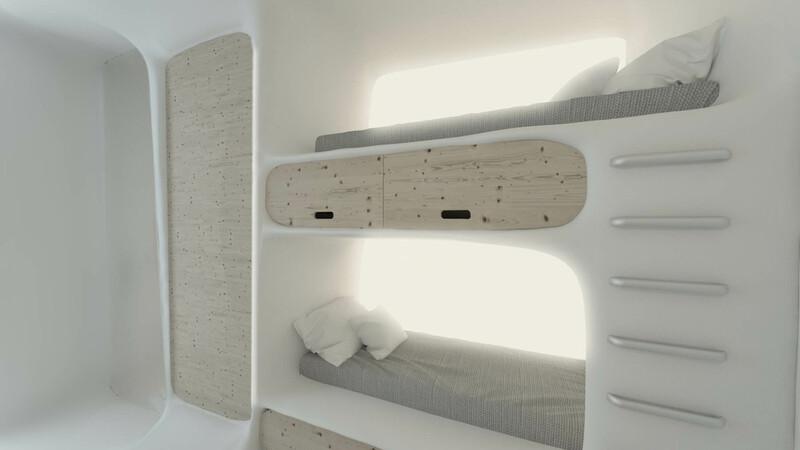 MyCocoon Hostel is a brand new concept in the Mykonian hospitality industry. 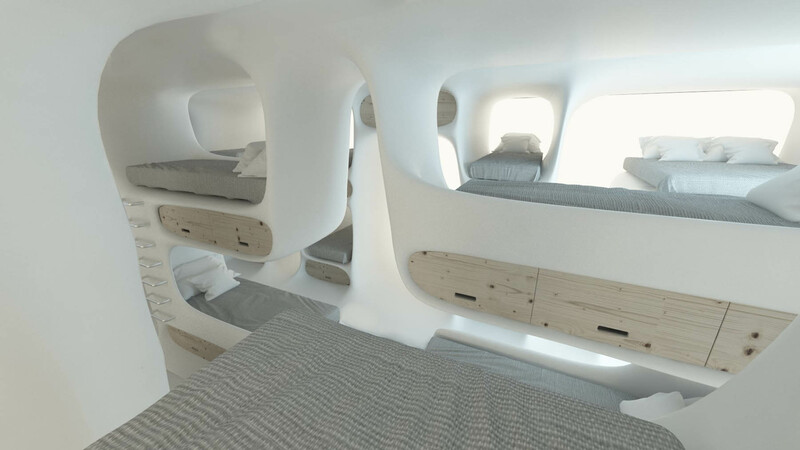 The MyCocoon Project is about combining the art of hospitality, with stylish design architecture and accommodation, at very affordable rates. 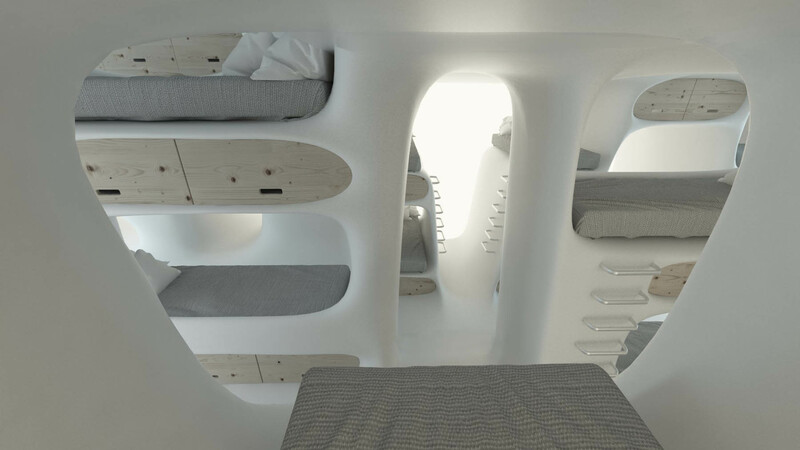 Opening in May 2017, MyCocoon will be the only hostel in Mykonos Island, Greece. 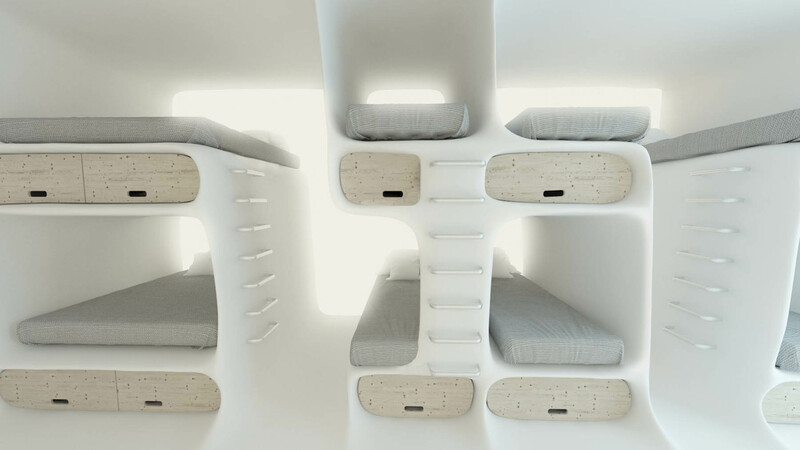 Furthermore, it will also be the only design hostel as well. MyCocoon Hostel in Mykonos Town provides the most supreme possible location, right in the heart of Mykonos Town. The hostel is ideally located right at the entrance of Mykonos Town seaside, called “Gialos” where most cafés, bars and restaurants are located and also where the fishermen bring their fresh fish daily, every morning. Moreover, the hostel is situated just a 2 minute walk away from the Old Port of Mykonos. MyCocoon Hostel in Mykonos, is the ideal option for young or elder people and groups of friends, who wish to socialize in a totally friendly and youthful environment and most of all, enjoy upscale design accommodation, that costs much less than any other hotel in Mykonos. 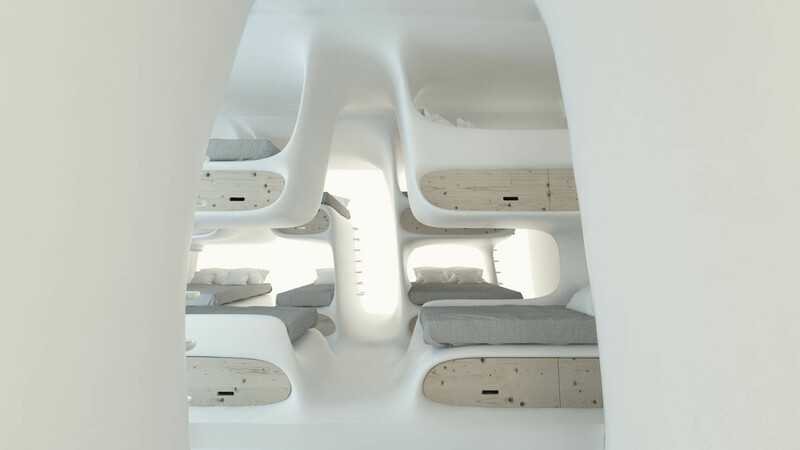 The #MyCocoon Design Hostel Project, has been envisioned and created, for welcoming the guests of Mykonos Island and inviting them to experience a new trend in the local hospitality industry, an experience of affordable design accommodation in Mykonos, that will make for unforgettable summer holidays. Book a private dorm for 6 persons or a private dorm for 4 persons with your own private bathroom, to experience the ultimate privacy, comfort and fun among you and your friends! Book a single bed or a double bed for maximum comfort, in the communal 10-Bed dormitory with a shared bathroom. 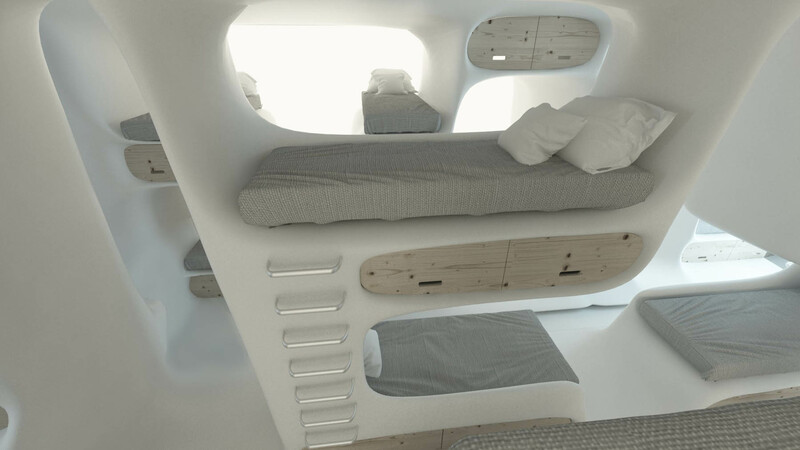 This is the ideal option for the lowest rate and for socializing! 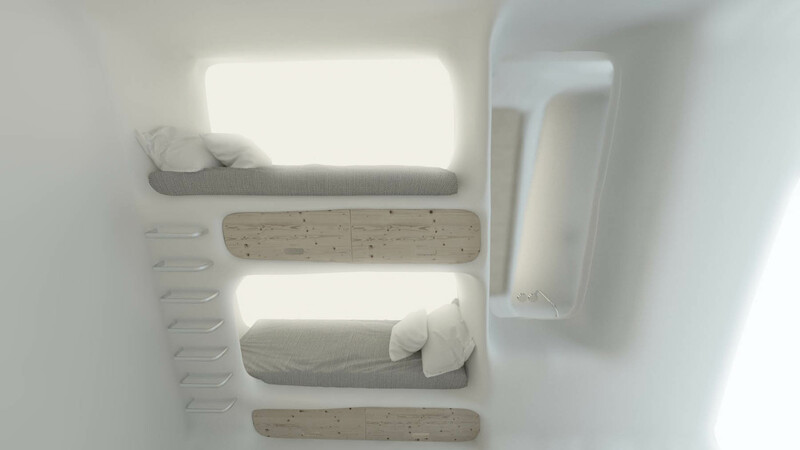 Enjoy a wide range of low budget services during your stay at MyCocoon Hostel in Mykonos Town! Part of the property and same management as well, is Hercules Car & Moto Rentals that will offer great discounted rates to all the visitors of MyCoccon Hostel or through www.mykonosrentals.gr for an online booking. Furthermore, the hostel’s mini market offers all kind of snacks and groceries for your convenience, at very low rates. Other services include sightseeing information and table bookings for the best bars & restaurants in Mykonos! 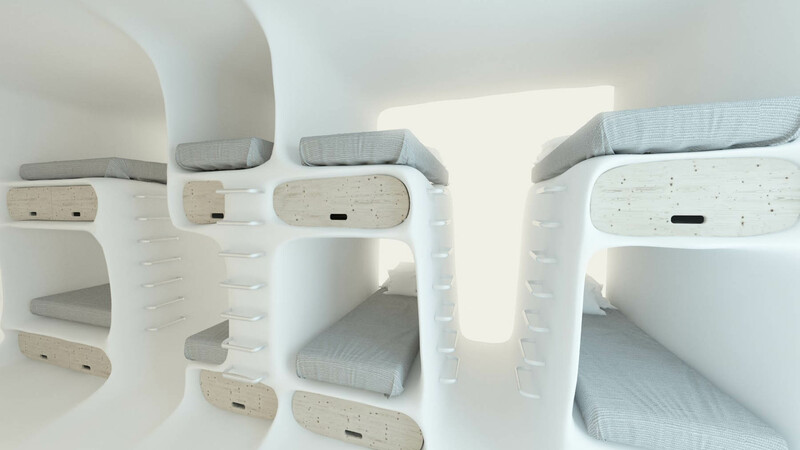 Finally, the adjacent to the hostel clothes shops and souvenir shops, will offer to all MyCocoon guests, the best prices possible and various special offers as well. Situated in a privileged location, very central however away enough from the bustling crowds of Mykonos Town, MyCocoon Hostel provides a strategic spot for exploring and discovering Mykonos Town and Mykonos Island as well. At a just 2-minute walk away from the old harbor of Mykonos and only a few minutes away from the nearest bus station, makes for an ideal connectivity between MyCocoon Hostel in Mykonos and the rest of Mykonos Island. The hostel’s supreme location is excellent for visitors who wish to explore the cosmopolitan Mykonos Town on foot, its dazzling nightlife and the authentic Greek gastronomical proposals.